I'm going to let you in on a fabulous marketing technique. Not only does it deliver a high impact message, it also effectively breaks through advertising clutter - AND - best of all, it's exceptionally low cost. The technique is thank you cards. No, I'm not joking. The power of saying thank you is vastly underestimated. My son is convinced I'm living in the age of dinosaurs because I insist he writes thank you cards to everyone who gives him birthday or Christmas presents. I keep telling him he is learning an invaluable lesson in marketing, and that some day he will thank me. "Whatever," he groans as he rolls his eyes. Think about it. Do you remember the last time you received a thank you card? How did it make you feel? Be honest. The very words "thank you" are magical - they make you feel good. We don't get many thank you cards and, even then, most of them are pretty boring. Some feel scripted, dramatically weakening their impact. Taking the time to write a thank you card may seem old-fashioned, but it's one of those little acts of kindness we all ought to cultivate. It's common courtesy to express appreciation to people who help you succeed in the business world. And nothing expresses this appreciation better than a handwritten card. Let's face it. When your mail comes in, whether at home or at the office, which envelopes do you open first? Only four per cent of the mail we receive today is personalized. The rest is laser-printed, mass-produced, and largely unread. So it's not surprising that research shows people pay the most immediate attention to handwritten correspondence. From a marketing perspective, the fact that so few people take the time to write thank you cards, equates to a golden opportunity for you to differentiate yourself. As an example, I often field queries from people who are moving to this area and looking to understand the job market and climate for marketing positions. I try to meet with as many of them as my schedule allows, even if I can't possibly hire them. The litmus test for these people comes after we meet. I keep the resumes on file for only those people who bother to send me a thank you card. This act in itself differentiates them from the vast majority of folks I've helped over the years. However, this point of differentiation meant that many of them ended up getting jobs because I remembered them and referred them to a client or colleague. Think about thank you cards as an adverting vehicle that keeps you top of mind. Again, let's go back to your personal experience. What do you do with the cards you receive? I'm willing to bet you don't throw them out - at least not right away. People like getting cards. More importantly, most people keep thank you cards a lot longer than other mail. I often set thank you cards on my desk. Every time I look at them I feel good all over again, and remember the person who sent me the card. How often do your other advertising efforts have such a long-lived effect on your target audience? If you and your company are top of mind with customers and prospects, it's more likely your name will be passed on when someone asks them for a recommendation. A simple thank you card helps you to differentiate yourself from other competitors and stay top of mind - perfect ingredients for building referrals. So ask yourself, when was the last time you sent a thank you card? 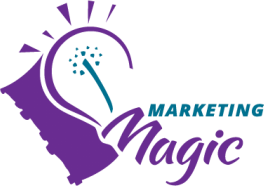 If it's been a while, you are missing out on a wonderful opportunity that can add up to marketing magic. 1. Don't send your thank you by email - it simply does not have the same impact. Plus, no one displays thank you emails on their desk. 2. Hand write both the card and the address on the envelope. Remember, only 4% of the mail we receive today is personalized. 3. Include specifics of what you are thanking the person. This helps make a stronger connection. 4. Be brief. Be sincere but don't write a short story. 5. Use a stamp on the envelope. Receiving a card that has been run through a postage meter just doesn't have the same impact. 6. Send it now! Although it's human nature to procrastinate, you get the biggest bang for your buck when your card is received in a timely fashion.